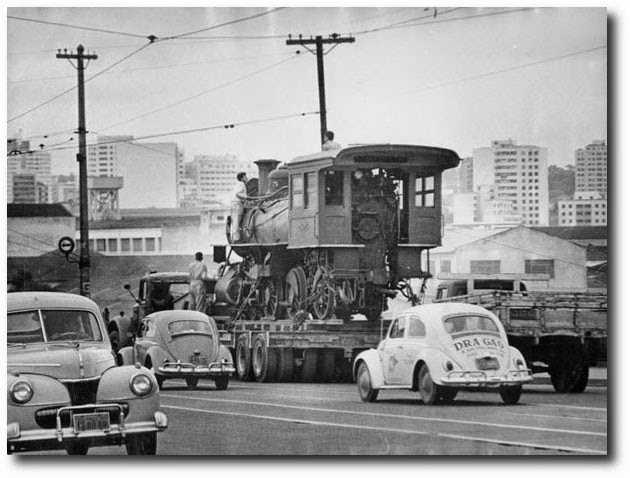 Old locomotive being taken away from Estrada de Ferro Cantareira after it was shut down in 1964, for no apparent reason. Cantareira linked São Paulo downtown to Guarulhos. Even though Guarulhos has had a major international airport it doesn't have a train service line. Well, it had it before 1964. As one can see, it seems like Brazil has gone backwards instead of forwards. It is explained by the overthrow of democracy in April 1964. 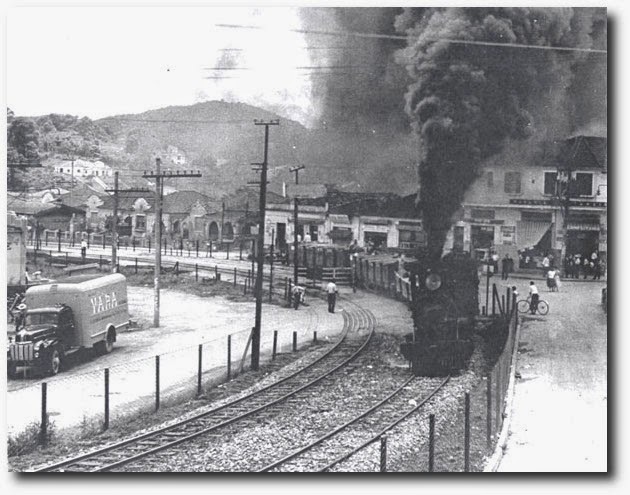 Locomotiva da antiga Estrada de Ferro Cantareira que ligava São Paulo à Guarulhos, desativada em 1964.